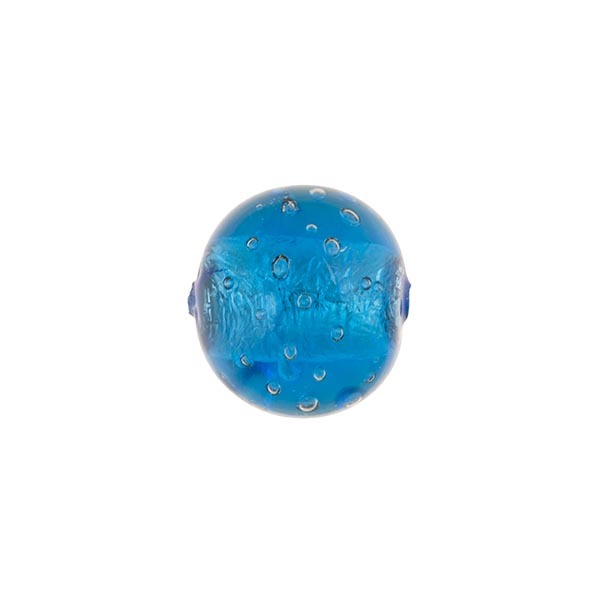 Our Bollicine line which features a small body of .925 sterling silver and a Aqua which has been carefully prepared so that little bubbles randomly appear and then completely encased with the same color Murano glass. Each of the bubbles is planned - it's no mistake and the effect is fantastic. It's a technique we borrow from the furnaces of Murano and often used in our Murano Glass Vases. 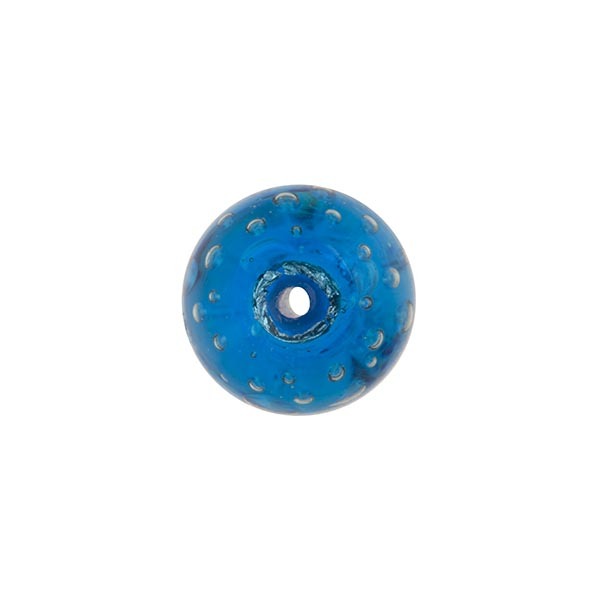 This entirely handmade Murano Glass Bead has a 1mm hole.